There are several fees and costs that may want to be considered when searching for a serviced office to let in Southend-on-Sea. Your serviced office might have a number of extra costs that you will want to consider when browsing the market, including international telephone call charges. When you get to the point where you have a good idea of your additional running costs for a serviced office rental property in Southend-on-Sea, then get your search started with MOVEHUT. 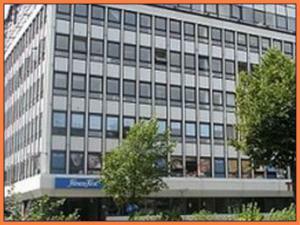 Would serviced offices to rent in Southend-on-Sea be right for your business? Choosing between renting an office in Southend-on-Sea or a serviced office can be a tough decision, but serviced offices do offer lots of benefits when renting. Renting serviced offices in Southend-on-Sea could be an ideal opportunity for you if you'd prefer not to commit to a long-term lease. Its ability to be able to manage the technical infrastructure in Southend-on-Sea like telephones and IT, may also be another reason to choose a serviced office. Having a clear vision of the type of serviced office you want to rent will always make your property search in Southend-on-Sea easier. You simply might need to make sure that you have the necessary resources available locally for your serviced office to run efficiently. Once you have an idea of the factors that matter most to you, MOVEHUT can help you find the ideal serviced office to rent in Southend-on-Sea. Why not begin your search for a serviced office to rent in Southend-on-Sea with MOVEHUT, and see how quickly we can help. You can browse serviced offices according to a range of criteria that will ensure that you only view the type of property that is most relevant to you. So kick off your search for a serviced office for rent in Southend-on-Sea with MOVEHUT, and you'll be amazed how quickly you find the right results. 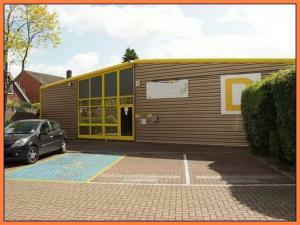 Finding a serviced office to rent in Southend-on-Sea is all about location, location, location. 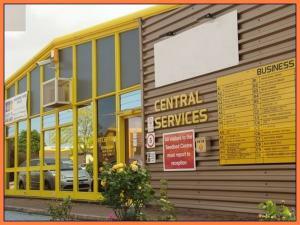 Locating to an area that gives both your staff and customers access to your business should be carefully considered when renting. Finding the ideal serviced office in the perfect location can be easy when using MOVEHUT's website.